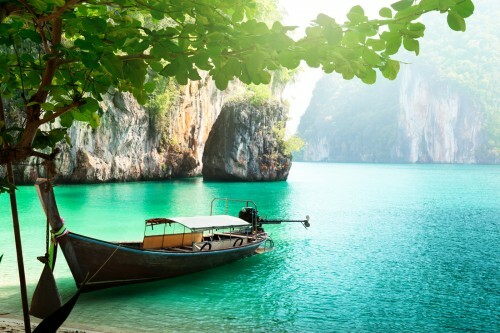 Cheap flights to Thailand: Bangkok from Prague for €446! 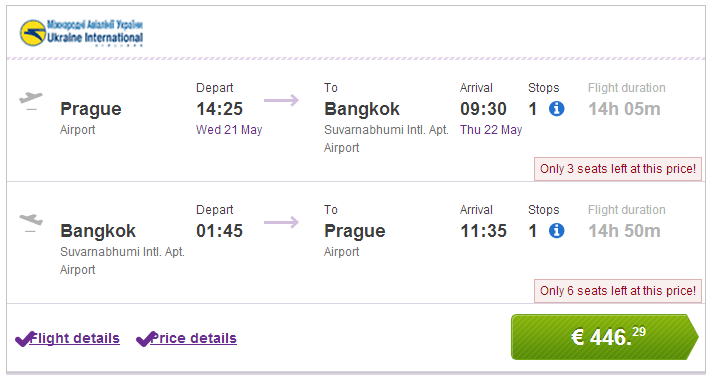 After cheap flights to Bangkok from Amsterdam and Warsaw you can now buy cheap flights to Thailand also from Prague. Return flights from Prague to Bangkok are available for only €446 / 12242 CZK. Travel dates are in May and June 2014. « SWEET! Flight to Florida, 1 week in hotel and 1 week car hire for only €422!